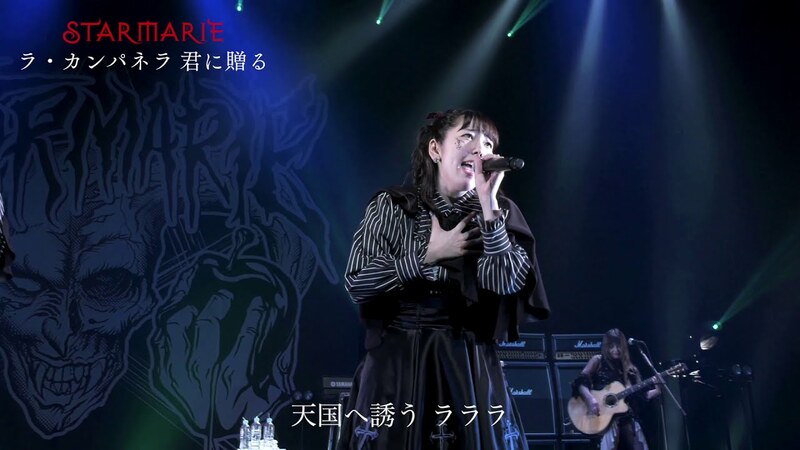 A splash of piano begins the latest live clip from STARMARIE. A definite old world flair infects the music of “La campanella kimi ni okuru” like the sound of marionettes dancing at the end of strings. Upbeat and lively, the song encourages a few steps to the left and right in the old world way. As a live performance, the important thing here is the performance: sounds and looks. 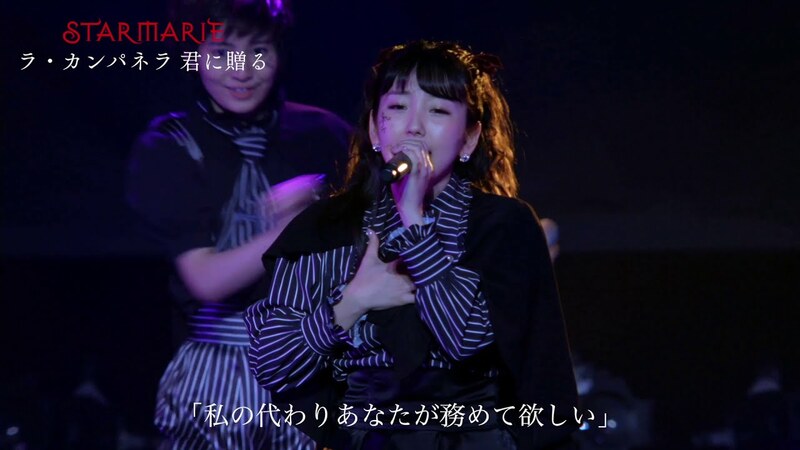 The blacks and stripes we saw in “Tsuma wa Hyde ni atte wa ikenai” keep the girls interestingly dressed, and the girls sound great in front of the live band. 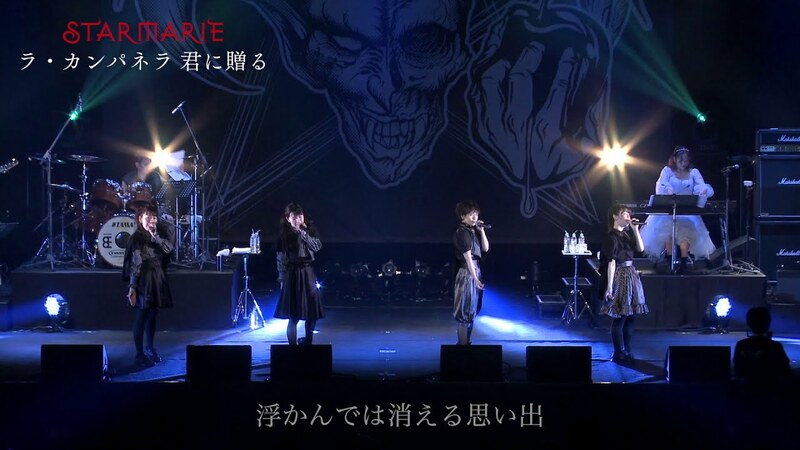 Give STARMARIE a listen for a taste of their lives- it’s a good thing. 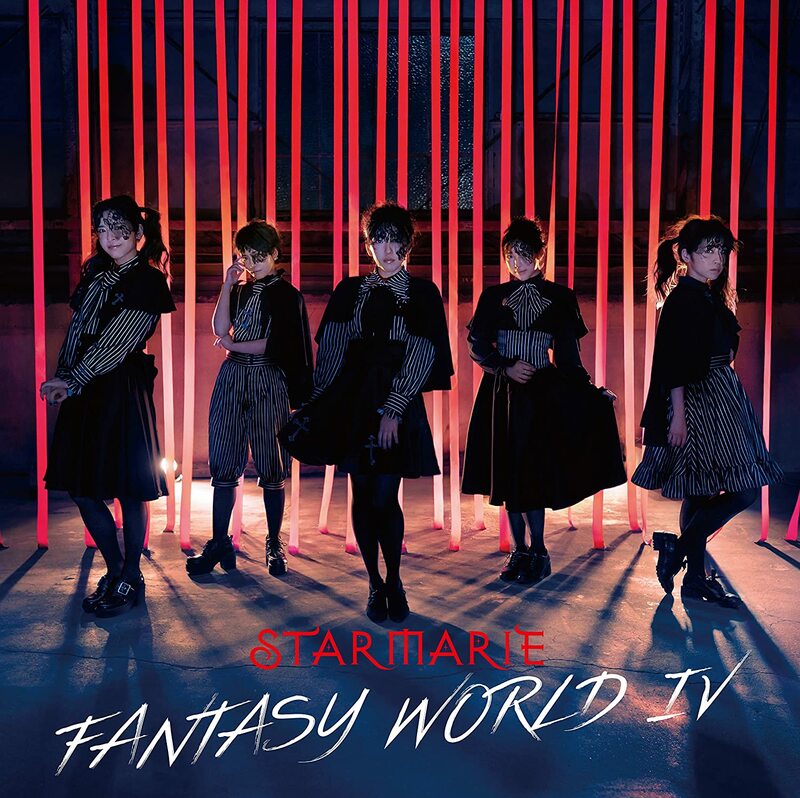 You can find “La campanella kimi ni okuru” on STARMARIE’s “FANTASY WORLD IV”. Buy STARMARIE’s “FANTASY WORLD IV“!